Dai creatori di "Salsicce Gratis per la Cuoca"
Just a quick post to show what you shouldn’t do while surfing. I’ve seen the avatars coming from mywebface.com and I thought they’re grand. So I went for a try. 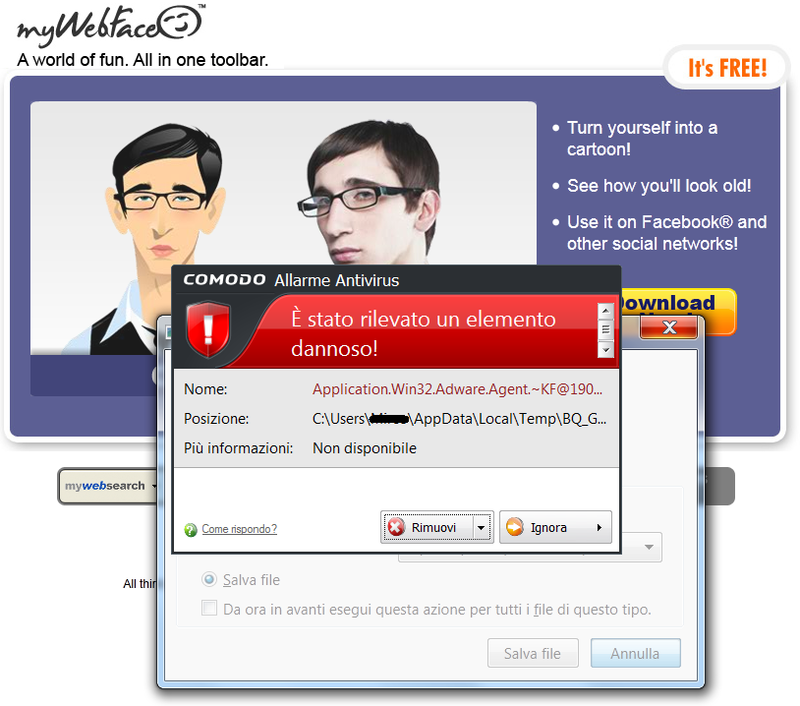 Even before clicking on “Save”, my Comodo antivirus warned me about the presence of a malicious adware lurking into the exe file I was going to download. As a rule of a thumb: if you have to download a toolbar, an installer or any kind of software (especially if file extension is exe or zip/tar) with 98% probability you’ll face a nasty adware, trojan or worse. So just leave the site ASAP. Scaricare video di Youtube con DownThemAll!